E-CIGARETTE E JUICE SPECIALIST! OVER 14000 SOLD!!!!!! TRACKED DELIVERY & UK STOCK - PACKS A Cloud PUNCH ! 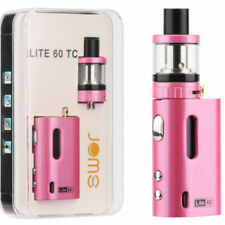 The Eleaf® GS-Turbo™ is effectively the GS-Air™ 3 as this is the third version of this tank from Eleaf®. The original GS-Air™ coil design has been retained, but now you have the choice of either a 0.75Ω Dual Coil for Sub-ohm vaping or a 1.5Ω Coil for those that like the tighter draw of a traditional cigarette. 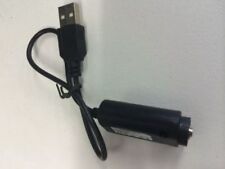 EVOD MT3 1100mAh E Cigarette STarter Kit E Cig Vape Pen + Charger 24HR SALE! E-cigarettes, vapes and mods are popular tools to try and quit or reduce the use of traditional cigarettes. E-cigarettes are battery-operated inhalers that create the look, feel and taste of smoking. E-cigarettes contain nicotine, however advanced e-cigarettes can allow you to control the nicotine strength to help you to give up smoking. The e-cigarettes heat the liquid inside to burn and create vapour. Vaporisers are similar to e-cigarettes but can be tailored with different liquids to suit the taste of the user. 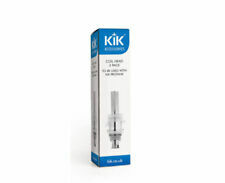 They have refillable cartridges and use warm air to gradually heat the fluid to produce a vapour without burning. This means the vapour lasts longer and provides a deeper inhalation for the throat and the chest. 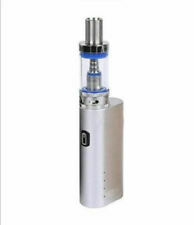 Mods are designed to improve the performance of e-cigarettes and vaporisers. The modifications you can find include customised options which can produce more vapour, have a longer battery life, a bigger capacity cartridge and generally a better performance to suit your needs. 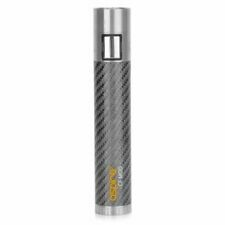 Aspire are a popular brand for traditional smoking alternatives and provide vape pen starter kits and mod starter kits. Vape pen starter kits, such as the Aspire Pockex, features a slim, phone-length vaping device in a variety of colours to suit your needs, a pre-installed coil and a spare coil for extended use, a charging cable and a user manual to help you to start your journey with vaping. Joyetech offer a range of different sizes of vaping kits, such as a cuboid shape, their small, curved Atopack Penguin design and thin, pen-shaped vaporisers. They also offer pipe-shaped designs to suit all smokers. The Joyetech offer fun and stylish vaporiser kits, complete with a range of different colours so you can find the right shape, size and style to suit your needs.